Do you feel as though you are going through life's ups and downs alone? Are you a victim of the foster system or adopted and want to know, why me? Can there ever be life after abuse or abandonment? If you have experienced opposition and neglect, this book is for you. 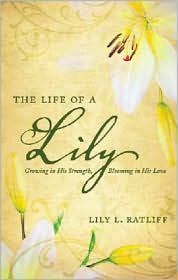 In her autobiography, The Life of a Lily, author Lily L. Ratliff shows you that through all of life's trials, God can bring you to a point of acceptance for what life has given you, with the vigor to carry on. A catalyst for hope and restoration in your life, with easy-to-read vignettes and relevant corresponding Scriptures, The Life of a Lily, shows how a young girl triumphs by discovering what so many others failed to realize: that God had a plan for her life. Lily L. Ratliff is a writer, educator, entrepreneur and speaker. 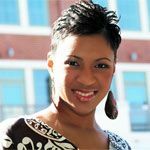 Lily is the author of the Christian inspirational memoir, The Life of a Lily that has been ranked consecutively for weeks on the Top 50 Black Christian Book Distributors Independent Publishers Bestsellers List for Non-Fiction. She also owns and operates "Everything That's Lily, LLC,” an online book and inspirational jewelry business. The company brings literature and style with the word of God together to create a sense of fashion for everyone who loves jewelry, but also doesn't mind being reminded of the goodness of the Lord Jesus Christ! How to Discern and Defeat the Lies of Jezebel, Athaliah and Delilah Three evil powers have joined forces to deceive you, rob you and imprison you in religious structures. It's time to fight back. For years a controlling Jezebel spirit has seduced the unsuspecting, even in the Church. Now the destructive forces of her daughter, Athaliah and Delilah are becoming evident as well. The joining together of this "threefold cord" is the enemy's secret weapon - and it is gaining alarming momentum against believers.